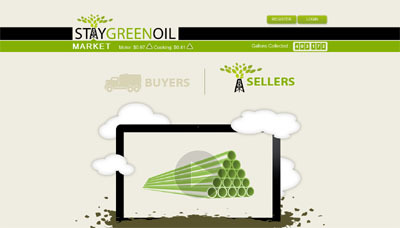 The StayGreen Marketplace allows Buyers and Sellers of used lubricants and cooking oils to connect and acquire the best vendor and price across broad geographic service regions. The StayGreen Marketplace is free for Buyers and Sellers to register and interact through public auctions or via private requests for proposal. StayGreen handles all the billing and payments and provides a full suite of analytics allowing Buyers and Sellers fo focus on their core business.